New Orleans is a fantastic city full of culture, cuisine, and...crypto. Yeah, you read that right. The Big Easy is pretty big on Bitcoin! Whether you’re a local enthusiast or just visiting the city with a digital wallet full of coin, crypto in the Crescent City goes surprisingly far. Check out this comprehensive list of all the places in and around New Orleans that accept crypto and start spending today! Known for excellent coffee and fresh baked goodies daily, Cafe Luna, located in the heart of Uptown at 802½ Nashville Avenue, has been a neighborhood institution for over a quarter century, serving up a constantly evolving lineup of exceptional coffee brews and mouth-watering baked goods to residents and visitors to this corner of Uptown since ya mom n’ dem! And best of all...they accept Bitcoin! Thanks to Greg, the owner of Cafe Luna, the cafe is also home to one of Pelicoin’s first cryptocurrency ATM’s in Louisiana. David's Antiques & Jewelry is a familiar sight to anyone who’s traversed the Esplanade side of Royal Street on the edge of the French Quarter. To the untrained eye, this quirky little shop might look like just another one of the myriad antique shops that line rather ritzy Royal Street. But this antique boutique, known for its eccentric collection of jewelry, antiques, vintage snuff bottles and home decor, and even Japanese-inspired Netsuke. By the way, David’s is an absolute innovator in the local merchant market accepting Bitcoin. They did it way before anybody else. Here’s a video from way back in 2013 showing the first Bitcoin transaction at the French Quarter antique store. P.S. David’s is just a few doors down from Pelicoin’s machine in Sam’s Unique Grocery! Korman Gerrity, a New Orleans real estate office based Uptown at 4505 Magazine Street, accepts Bitcoin for the purchase of its properties. While this is currently the only real estate broker in the area that accepts crypto, digital currency is becoming increasingly popular as an accepted payment option for people buying and selling real estate, including a variety of recently listed mansions accepting the alternative currencies as payment. There’s even an entire site dedicated to Bitcoin homes for sale. Sandstone Oil & Gas, a New Orleans-based upstream petroleum exploration service company, specializing in geophysical and financial analysis. In layman terms, that basically means they check out the financial and geological feasibility of any drill sites before, during, and after production. On the off chance you need to utilize their services and own a bunch of crypto, you can pay for it in Bitcoin. Need lawn care in New Orleans and have a few Bitcoin to spare? This next business is a bit more practical. Geaux Lawn, a lawn care company based just outside City Park in Lakeview, offers the popular cryptocurrency as a payment option when it’s time to get your grass cut. Haring Labs currently accepts Bitcoin and Bitcoin Cash, but hopes to expand its payment methods to include Litecoin and Ethereum in the near future. Their offerings are mostly extremely high tech hydrogen systems, perfecting the hydrogen generation process for their generators to allow for higher hydrogen output through an optimized delivery system. They also manufacture their own electronic control boards to monitor and manage their high tech hydrogen systems. DirectNIC is a domain name registrar based right here in New Orleans, Louisiana. As only the registrar to accept Bitcoin and a variety of other alternative currencies, DirectNIC is the place to go when you want to buy a domain name and spend a little coin doing it. Does the name sound familiar? Maybe it should. DirectNIC gained recognition in 2005 after the U.S. Army used DirectNIC’s New Orleans offices as a staging center during Hurricane Katrina. It’s noted as being one of the few companies that remained completely online during the hurricane, and the company worked directly with the Army and local government officials to circulate information on the Internet regarding the unfolding disaster. Spera Law Group, an innovative law firm based in Mid-City at 3110 Canal Street. Besides the traditional hourly model most law firms charge their clients by, Spera also offers innovative Collective Counsel membership plans starting at less than $100 a month. Membership in the Collective Counsel provides you with unlimited 30-minute consultations, so you can always ensure small issues don’t turn into big mistakes. And when you need additional help, you’ll always get 25% off. The best part about Spera Law? They accept Bitcoin! So next time you need the law on your side, get going with way less than a handful of Bitcoin by giving these fine folks a call. Monti is a St. Charles Parish notary public offering a variety of notarial services and specializing in auto titles. 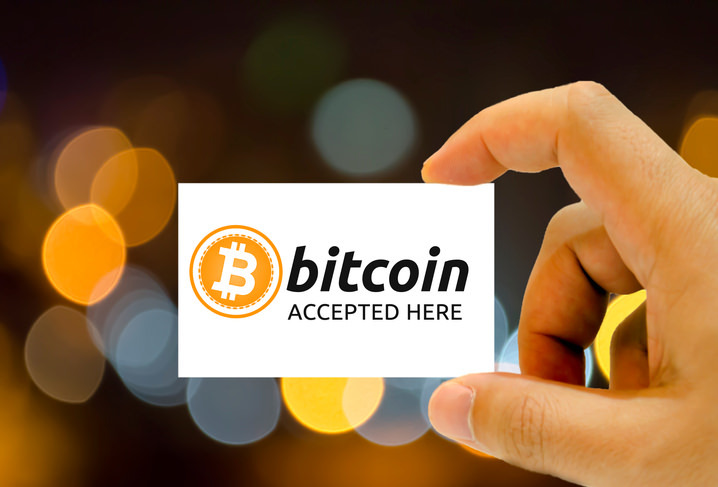 They accept Bitcoin as payment, so next time you need a document notarized or an auto title, you know who to call! Lakeview Burgers and Seafood, a well-established eatery in Lakeview, accepts BTC for their food. As the name suggests, the restaurant offers a pretty tasty menu of burgers, poboys, and hot plates, as well as a bustling seafood market with live and boiled crawfish, crabs, and more. Cleo’s is a Mediterranean restaurant located at 940 Canal Street. The food is good and pretty inexpensive, so for a fraction of a Bitcoin you can enjoy Middle Eastern favorites like hummus, pita bread, and falafel! If this list of New Orleans places accepting crypto has you excited but you don’t have any Bitcoin, you’re in luck. Pelicoin is New Orleans most legit crypto ATM service, with locations all across the city where you can easily exchange some cash for crypto. Visit one of our many locations today and start getting your coin circulating in the local economy now.